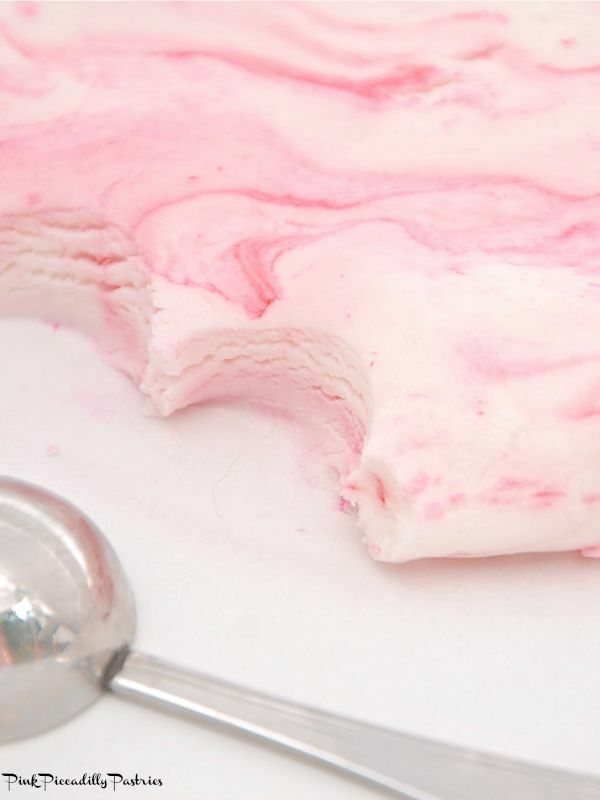 I have a fun recipe for you today, especially if you have kids! I quote, "a scrumptious science experiment!!" 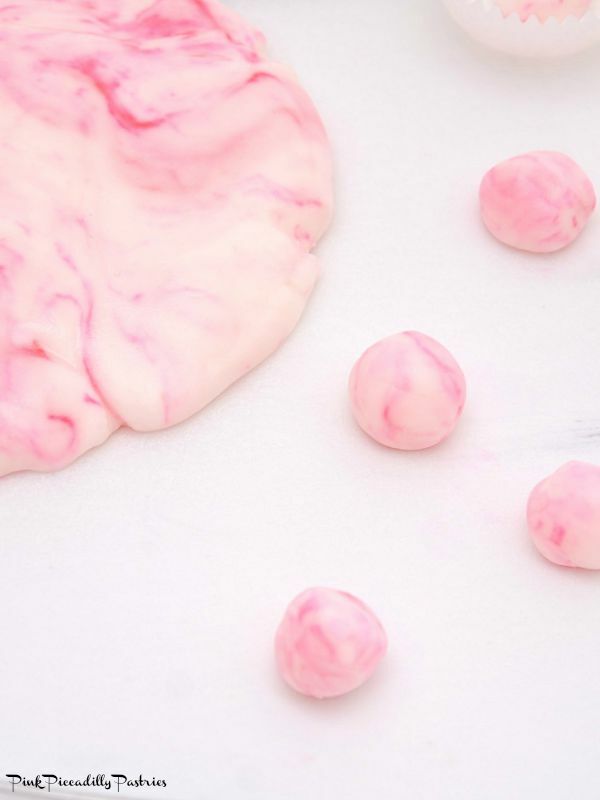 So let's make some magical marbled fairy meringues!! some coconut extract that I had on hand. I loved the flavor!! is too dry, just grab another egg white and add a bit more. 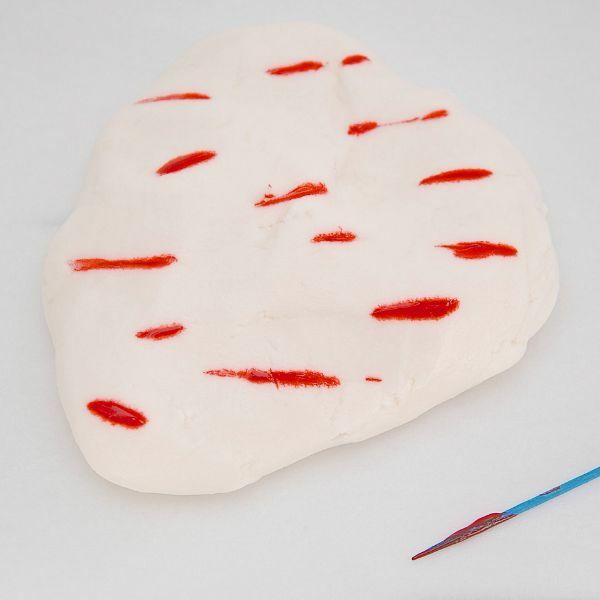 my dough and using a toothpick, I placed lines of food coloring. 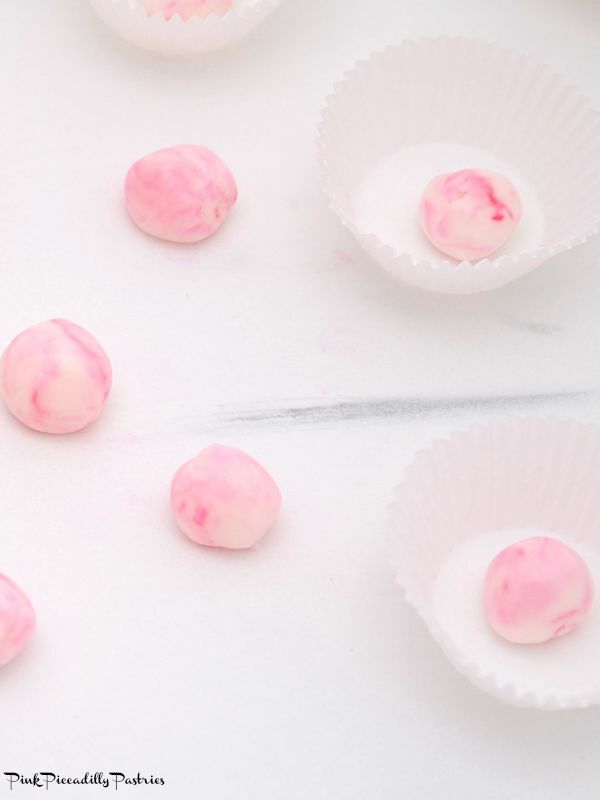 a pretty pink marbled look. them into a ball and placed them in a mini muffin/cupcake cup. tries to get it right! 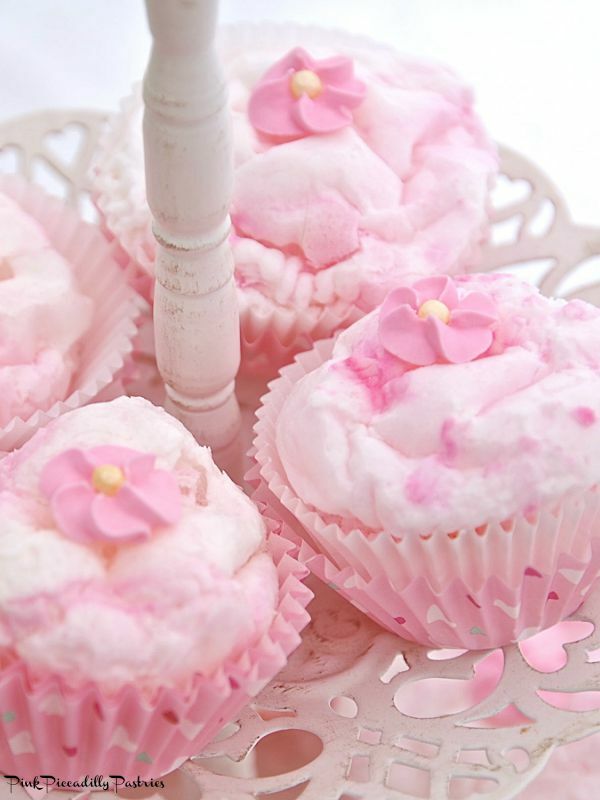 The first time I made these I burnt them! you microwave at least 6 at a time. the well and gradually work into the powdered sugar. in the center of a mini cupcake cup. one minute 30 seconds. Start cooking and watch carefully. for your microwave. 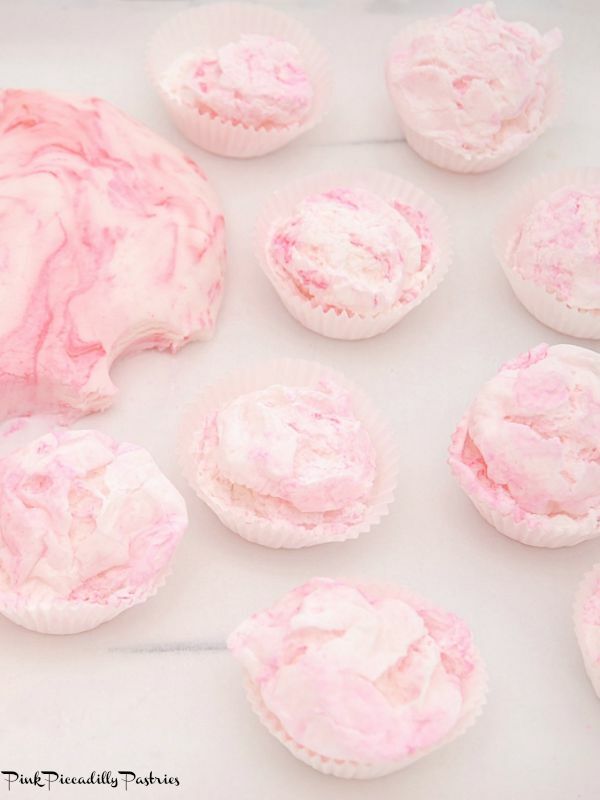 The meringues are done when crisp. If the insides are brown, you have cooked them too long. MAGICAL!! 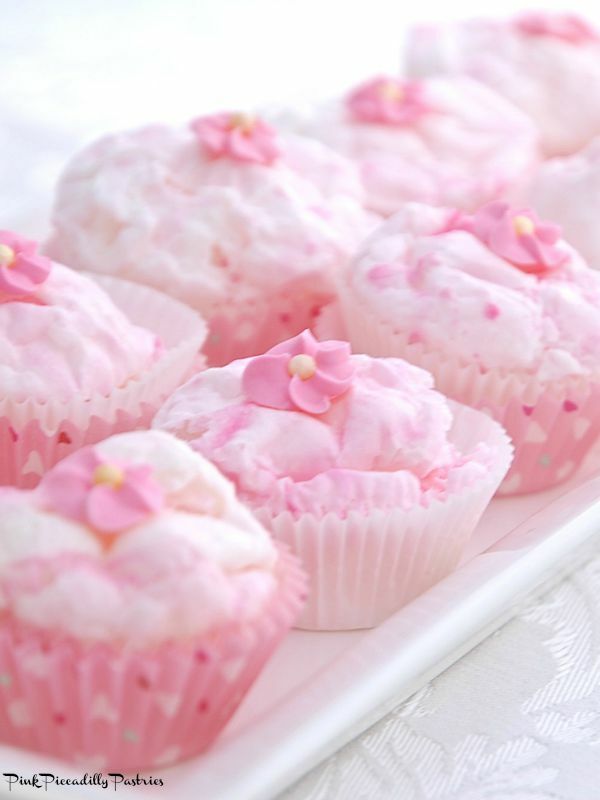 A perfect activity for a girl's tea party!! Neat little recipe. Thanks for sharing. 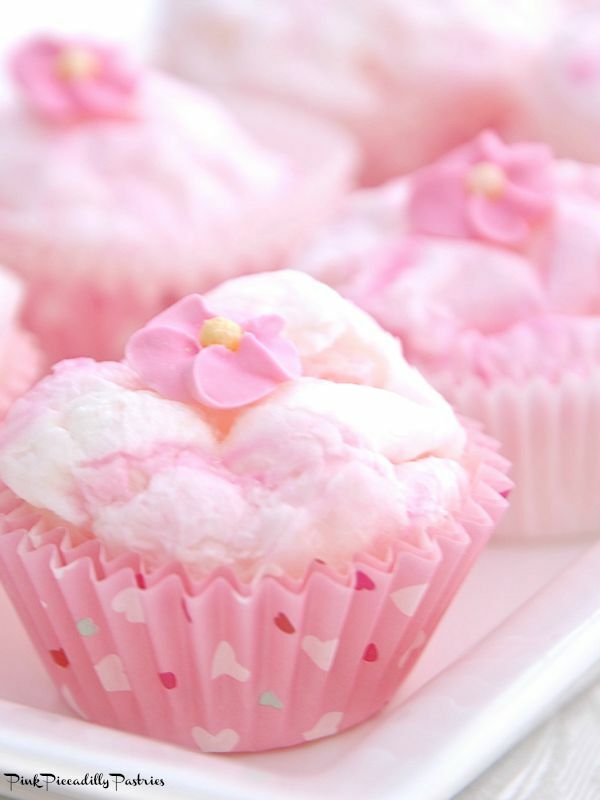 Cute cupcake liners. Thank you Nina!! Thought it was a cute idea!! So easy to make and beautiful to see! Always the best Jina!